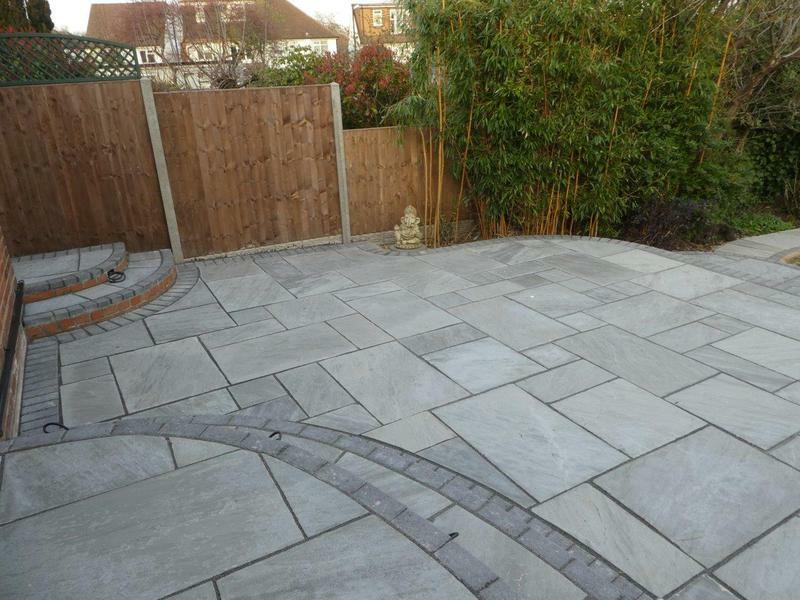 Land Craft Paving & Patios are a trusted, professional company with 15 years' experience and a great reputation to uphold. We are based in Colney Heath covering Hatfield, St Albans, Potters Bar, Mill Hill, Hendon, Cockfosters, Goffs Oak, Cheshunt, Palmers Green, Golders Green, North Finchley, East Finchley, West Finchley, Haringey, Southgate, Enfield, Whetstone and Barnet. 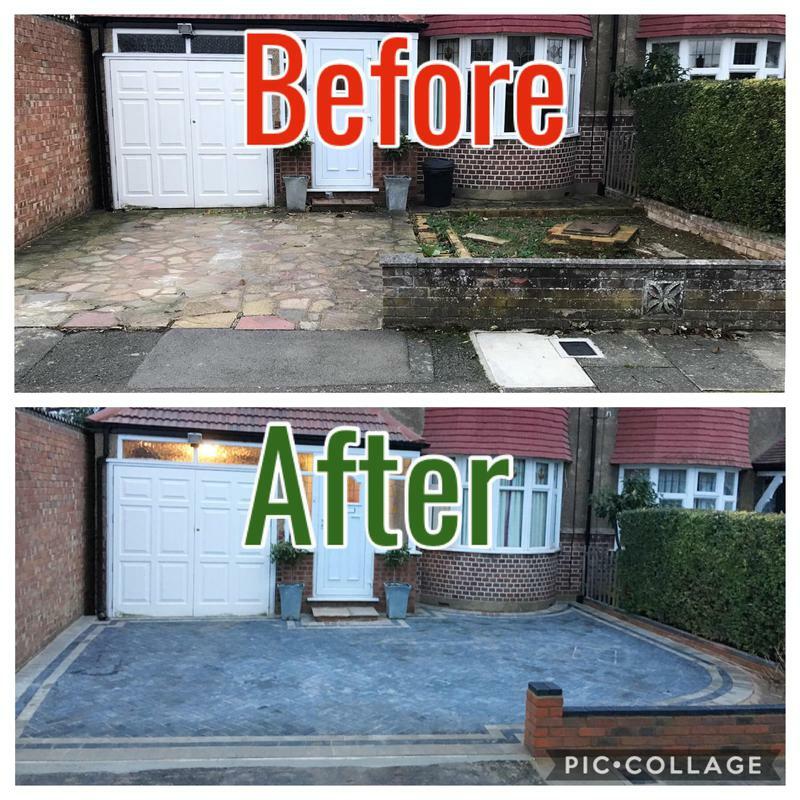 "The work on our front driveway and back garden has just been completed and we could not be happier. I can only upload one picture, but would love to show you 10 because the transformation of both spaces is incredible. These projects have been on our To Do list for a number of years and we had several quotes for the work. Land Craft Drives & Patios was the most competitive and the service was by far the most responsive. The reviews, thoroughness of the quote and James' professionalism from the very beginning gave us the confidence to select them for the job. In just 5 days, both projects were started and finished. The quality and service were exemplary from quote to completion. With a workmanship guarantee and follow up advice provided as part of the service, we are very pleased. Definitely give them a shot at your project!" "Excellent work by Land Craft. We were very nervous about doing our patio which was falling apart. It was decking.And looking at Natural sandstone seemed like hard work and we were lost. However James from Land craft and his team made the design, choice and work effortless. I am so glad that out of the 7 quotes I had I chose Land Craft. Would highly recommend them anytime. I have only been able to upload one image on this website but I would have loved to be before and after. Hopefully I can upload more images.... Excellent work with a Wow! factor. Thank you James and team. Jackie and Gary"
"Lovely job well done, very easy people work with. would be very happy to recommend others!" "I was in need of someone to reinstate our front garden and I got let down by numerous people. I left a voicemail for this company and got a call back not long after. The man introduced himself as James and after I described him the job he said that he could do it. The driveway is at a property I rent out and it wasn't possible for me to meet James personally but he took time to visit the property on his own and give me a quote which was competitive. He said he could start the following week which it was great. And so he did and finished the job to a very good standard. Saying that I was impressed is an understatement. I wish I have met him in person even just to say thank you. James is a reliable, honest and genuine person which I would highly recommend and would use again in the future. Happy customer!"